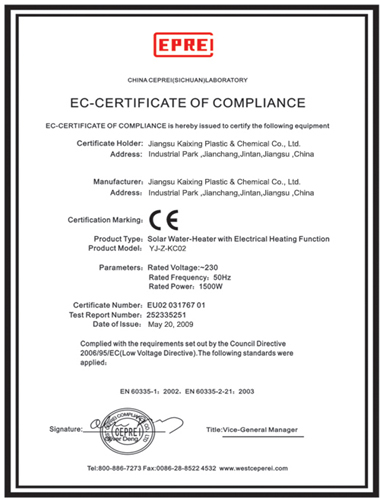 "We are committed to design and manufacture of Solar Power Plant, Solar Water Heater, Solar Pump, Solar Fencing, Solar LED Street Light, Solar dryer, Solar Panels, Solar MPPT Inverters, Solar On Gird Inverters, Solar Charge Contollers And Solar Home UPS products for Industrial applications and House applications of excellent quality to meet customer expectation. We will continuously strive to improve our quality, customer satisfaction and profitability by means of teamwork, global bench marking and innovation." 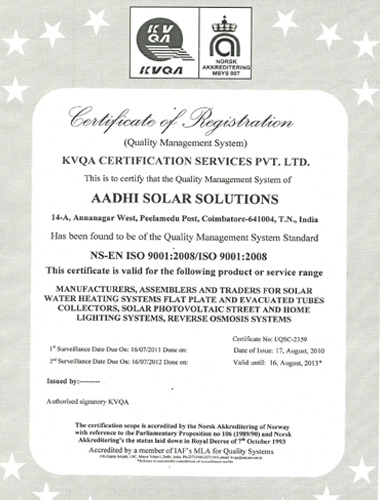 The ISO 9001 - 2015 certification, accredited by KVQA Certification Services Pvt. Ltd.The ISO 9001, ASME, UL, CE and EN standards are endorsements of our commitment to quality.